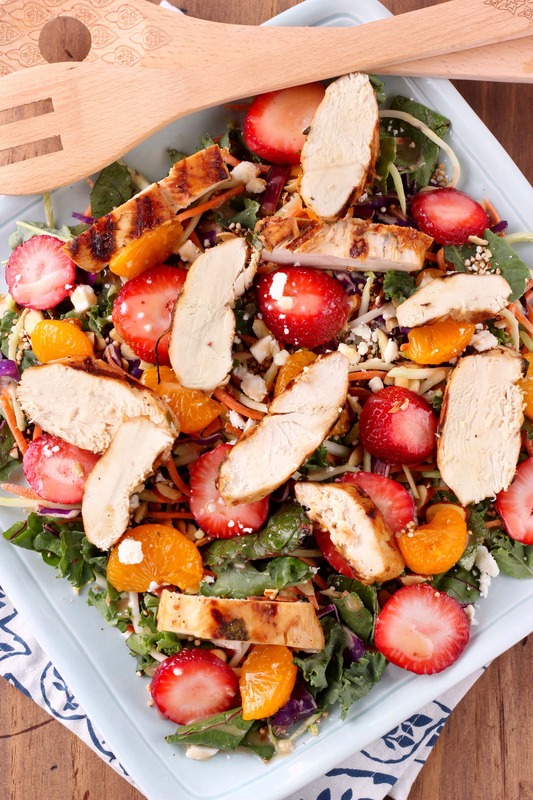 This Grilled Citrus Chicken with Strawberry Harvest Salad is a flavorful and easy summertime meal that is quick enough to enjoy on even your busy weeknights! Our meals reflect the warmer weather, too! No more heavy comfort food. Light, fresh meals have taken over our menus! Thanks to some help from Eat Smart, we can have a fresh meal and get it on the table in a hurry! We just recently started using their products and love all of the different salad kits they have to offer. Often we mix one up to go with our favorite grilled meat (like this grilled citrus chicken!) for a healthy, quick and easy weeknight meal! Not only can you get a delicious meal on the table for your family quickly with Eat Smart, but you can also feel good about what you’re feeding your family! 90% of Eat Smart products contain a clean label. In fact, all Eat Smart products will be free from high fructose corn syrup, artificial preservatives, hydrogenated fats, as well as artificial colors, flavors, and sweeteners by the end of next year! They are the first brand within their category to make the commitment to clean ingredients and labeling, with plans for all products to contain a “100% Clean Label” by the end of 2018. 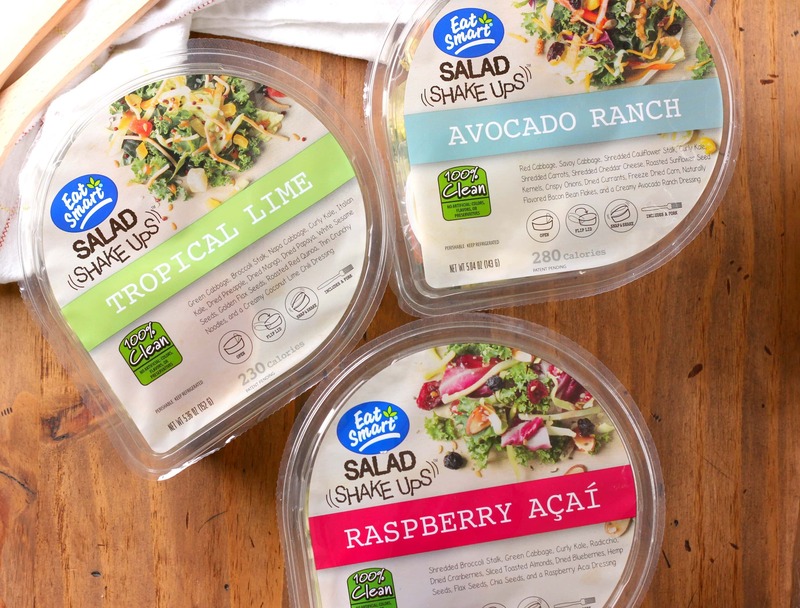 Eat Smart’s easy-to-understand labels will list recognizable ingredients that consumers can feel good about putting in their bodies and serving to their families. 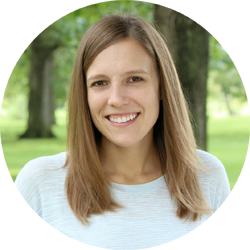 This gives us healthy options that help us keep ourselves and our family healthy and on track with our fitness and wellness goals! 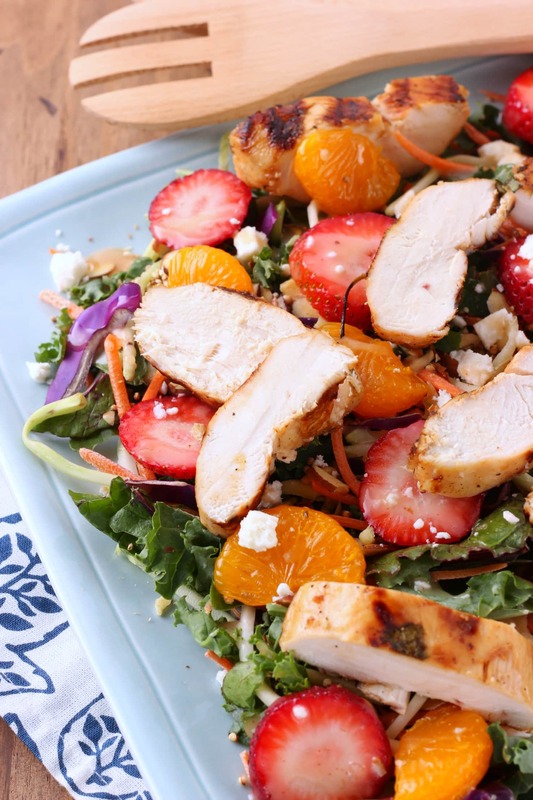 We used the Strawberry Harvest Gourmet Vegetable Salad Kit (it contains no artificial colors, flavors, or preservatives) to pair with our grilled citrus chicken. It’s a blend of seven superfoods (including crispy quinoa and almonds! ), feta, and an amazing strawberry vinaigrette! We mixed in some sliced strawberries and mandarin orange slices for an extra burst of color and flavor. 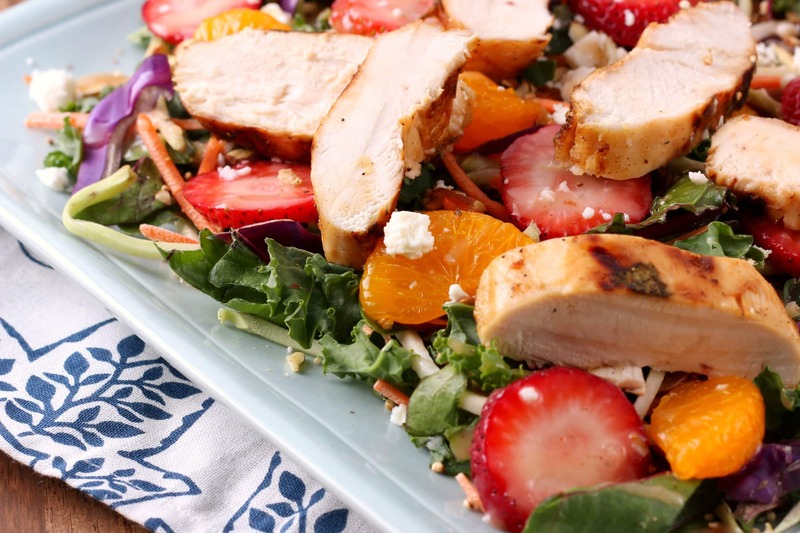 Topping off the strawberry salad, is an easy grilled citrus chicken. Boneless, skinless chicken breast sits in an easy marinade of fresh orange juice, fresh lime juice, garlic, cilantro, and pepper to soak up flavor and then is tossed on the grill. The best part of the marinade is that you can put the chicken in the marinade before you head out the door to work and pull it back out for dinner that evening. Or, you can put it in the marinade an hour before you plan on grilling it, and you’ll still get great flavor! Here’s to easy, healthy summers! Interested in more? Check out the Eat Smart website and sign up for the monthly e-newsletters (Sign up box is in the lower right corner!)! You can also find Eat Smart on Twitter and Facebook! In a shallow glass dish or a resealable food storage bag, combine orange juice, lime juice, garlic, cilantro, and pepper. Add chicken and coat with marinade. Cover or seal and place in refrigerator for at least one hour and up to 24 hours. Heat grill to medium heat. Lightly brush grill grate with non-stick cooking oil. Remove chicken from marinade, reserving marinade, and sprinkle with salt. Place chicken on grill and brush with marinade. Grill for 10 minutes and flip. Brush with marinade and cook for an additional 10 minutes or until internal temperature reads 165 degrees F.
Remove to a plate and allow to rest for 5 minutes before slicing. 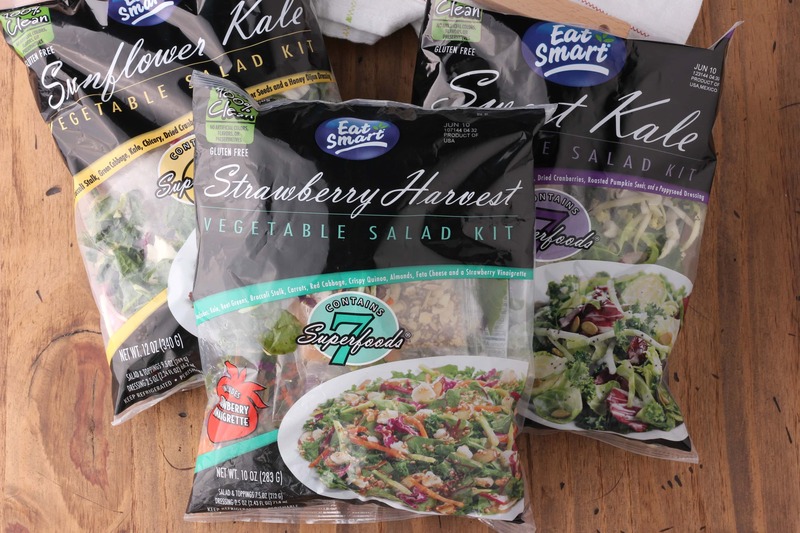 While chicken is resting, combine all ingredients of the Eat Smart Strawberry Harvest Gourmet Vegetable Salad Kit. Gently stir in sliced strawberries and mandarin orange slices. Top salad with sliced chicken. Serve. I’m with you! We’ve had a few “cooler” days recently and I’ve been trying to take advantage!! (when it’s super hot and humid I just hole up inside haha). But anyway, this salad looks just perfect for a summer dinner! I love your fun additions to this salad! My husband would love it! This salad looks so fresh and delicious! It’s the perfect weeknight dinner for summer! Healthy and easy is always a winning combination! I find it really hard to stay indoors when it’s nice out! This salad reflects the way I love to eat in the summer months too…it looks so fresh and flavorful! My kiddos just want to be outside all day now that it’s warmer and this salad is just perfect after all that running around! It’s so pretty and I love the flavors! perfect for busy week nights. What a fantastic and delicious summer recipe! Easy and delicious! 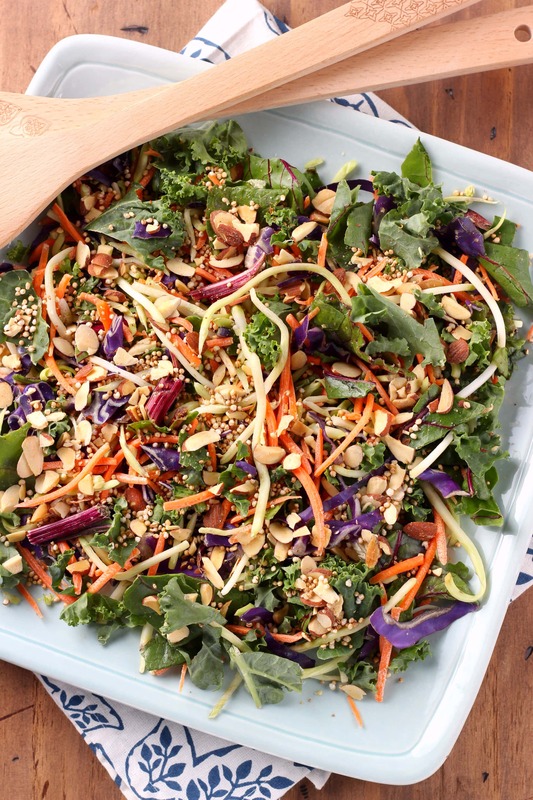 Perfect summer salad—I’d be making double so I’d have plenty of leftovers! !